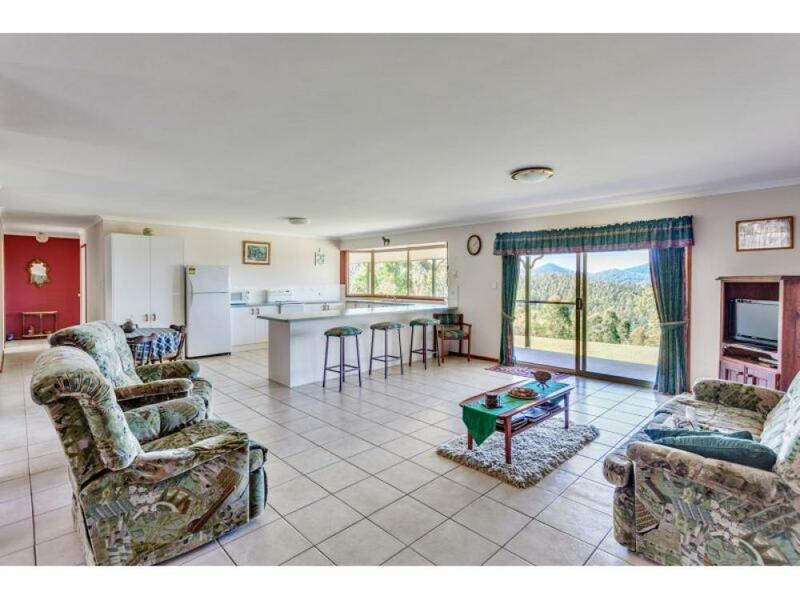 COUNTRY LIVING WITH AMAZING VIEWS, STEADY INCOME &amp; DUAL DWELLINGS!! This property is currently Under Contract with conditions to be satisfied. This rare opportunity in the sought after location of Ross Creek/Veteran provides 126 acres with dual dwellings, impressive breathe taking views, improved pastures, abundance of water, income from a large proportion of hardwood trees and all this approximately 12kms to Gympie. This property has it all! The main light and bright brick home is warm and tidy, featuring 4 bedrooms - main with walk through wardrobe leading to the en-suite and 3 bedrooms with built-ins, spacious open plan kitchen, living/dining and a second dining area. Step outside onto the full length eastern side verandah and enjoy the breathe taking stunning picturesque views over the property towards the coast. The second timber home provides 3 bedrooms + sleep out, 1 bathroom, functional kitchen, fire place, and double carport. Both homes have 10,000 gallons of rainwater storage plus access to dam water for garden use. The majority of the property is currently leased by the Queensland Government and planted to approximately 50,000 hardwood trees, the lease money creates a handy little income. Throughout the plantation area are well established improved pastures, suitable for cattle or horses. Stock and garden water is supplied from 3 dams, the largest of which has an electric pump supplying water to an elevated turkey nest and gravity fed to gardens and cattle troughs. At the large dam there is a cleared area suitable for picnics or barbecues. This property is unique and is the perfect country living.